PUBLIC SCHOOL NY has created something special with something iconic from the big swoosh, NIKE. 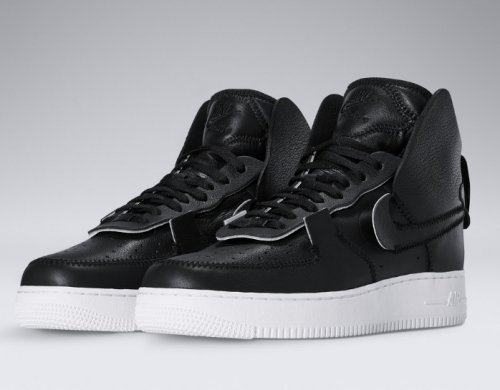 They set out with this Air Force 1 collaboration knowing they couldn’t do anything to make this perfect form any better. They also couldn’t decide whether they wanted to work on the low, mid or high silhouette. So they did all 3 and highlighted their favorite parts from each. They took the strap from the mids, the eye stay from the highs, and the quarter from the lows. Each piece is lifted from the upper purposely meant to appear as if it’s floating in all it’s glory. They also brought the internal zigzag construction to the outside. So no new patterns, shapes or elements were introduced…the true essence of design destroy and create. We love it so go HERE asap as they will sell out fast you may get a pair before the resellers, jerks!